We believe that we have produced the first accessible and concise eBook covering the development of Friendly Drones and the myriad of services they now offer for industry, personal and environmental functions. We also define how Friendly Drones are constructed, how they fly, how they operate. There is also helpful advice as to which personal drones are available for you to buy today. 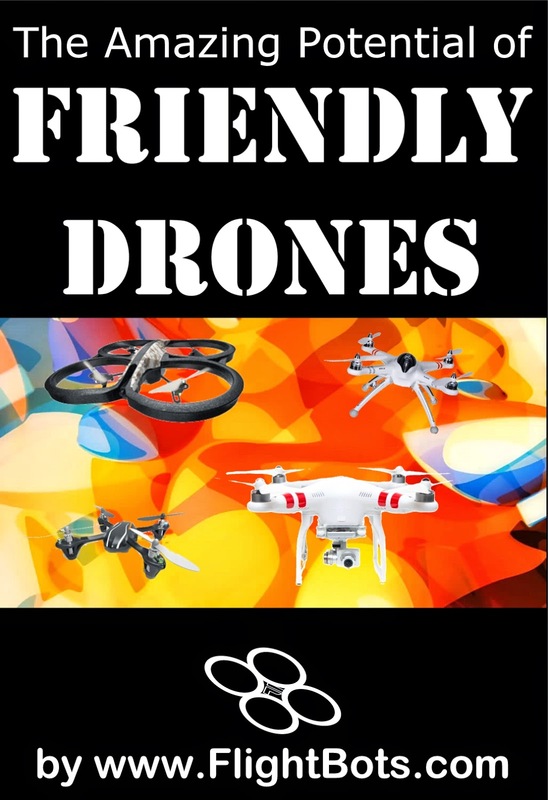 Written by the founders of leading Friendly Drones website: FlightBots.com, this engaging and informative eBook is designed to give an invaluable and 'ahead of the game' insight into the world of Friendly Drones. The Amazing Potential of Friendly Drones is available worldwide through Amazon.